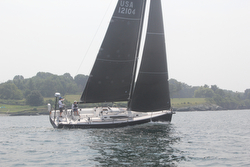 J/News Articles: Newport Boat Show- See the J/112E, J/121 & J/70! (Newport, RI)- The fabulous Newport International Sailboat Show is open next week from September 13th to 16th, Thursday to Sunday, from 10:00am to 6:00pm at the Newport Yachting Center in downtown Newport, off the famous America’s Cup Avenue. On display will be three exciting models in the J/Boats line of one-design/ offshore sportboats and sport cruisers- the J/112E, the new J/121, and the incredibly popular J/70. For starters, the most decorated J/Boat in recent months will amaze people with its family-friendly “cruising” features as well as its extraordinary performance in European regattas. The J/112E was the 2018 IRC European Overall Champion and was also the World Sailing Offshore Champion in Class 3 (the largest by far in the regatta with 50+ boats on the starting line). Learn more about the J/112E sport cruiser here. 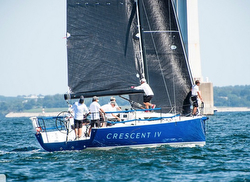 Next, the new J/121 Offshore Speedster continues to gather steam, with class wins in the Newport to Bermuda Race (St David’s Lighthouse “professional” division, no less), the Doublehanded Class winner in the Ida Lewis Distance Race, second in class at Heineken St Maarten Regatta, and first in class in the recent Conanicut Round Island Race on Narragansett Bay. 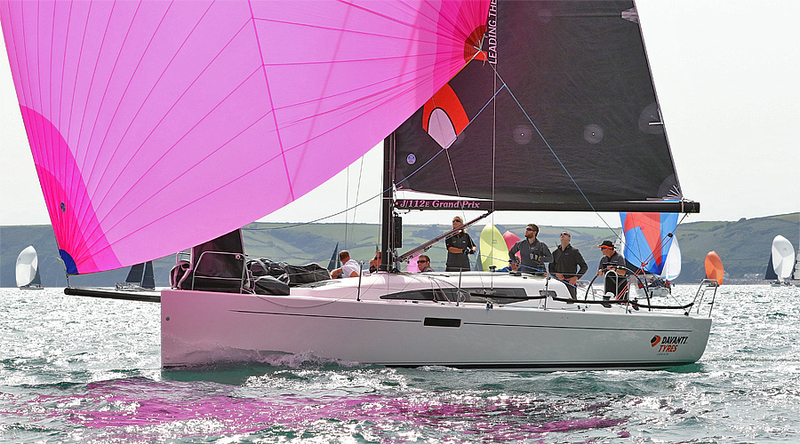 Take a tour to discover how this “water-ballasted” speedster is turning heads and helping to re-define fast, short-handed, offshore sailing- remember, a J/24, J/70 or J/80 crew are all it needs to get around the race track! Learn more about the J/121 Offshore Speedster here. Finally, the world’s most popular sportboat- the famous International J/70 One-Design Class sailboat- continues to grow around the world, with fleets developing in all corners of Planet Earth and on every one of the Seven Seas! Hop aboard and discover why W.O.W. 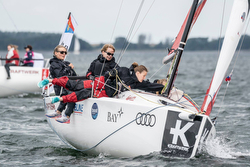 (Women On Water) in Denmark and other parts of Europe (and the Americas) are rapidly adopting the J/70 as their one-design keelboat class of choice to encourage more women sailors to have fun and compete on the world stage! Learn more about the women & youth friendly J/70 class here. For more Newport Boat Show information Add to Flipboard Magazine.